Stoicism was one of the most important philosophical schools in ancient Greece and Rome. It has also been one of the most influential. 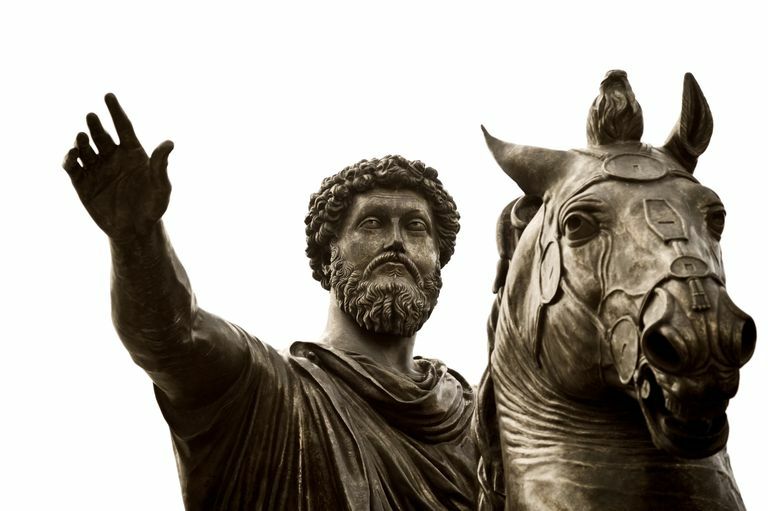 The writings of Stoic thinkers like Seneca, Epictetus, and Marcus Aurelius have been read and taken to be heart by scholars and statesman for two thousand years. In his short but extremely readable book A Guide to the Good Life: The Ancient Art of Stoic Joy (Oxford University Press, 2009), William Irvine argues that Stoicism is a admirable and coherent philosophy of life. He also claims that many of us would be happier if we became Stoics. This is a remarkable claim. How can the theory and practice of a philosophical school founded fifteen hundred years before the industrial revolution have anything relevant to say to us today, living in our constantly changing, technology dominated world? Irvine has many things to say in response to that question. But the most interesting part of his answer is his account of specific strategies that the Stoics recommend we all use on a daily basis. Three of these in particular are especially important: negative visualization; internalization of goals; and regular self-denial. Epictetus recommends that when parents kiss a child goodnight, they consider the possibility that the child might die during the night. And when you say goodbye to a friend, say the Stoics, remind yourself that you perhaps you will never meet again. Along the same lines, you might imagine the home you live being destroyed by fire or by a tornado, the job you rely on being eliminated, or the beautiful car you have just bought being crushed by a runaway truck. Anticipating misfortunes can lead you to take preventative measures. E.g. Imagining your family dying of carbon monoxide poisoning may prompt to you install a carbon monoxide detector. If you have already imagined how something awful might happen, if it does occur you will less shocked. We are all familiar with this on a mundane level. Many people, if they take an exam, imagine or even convince themselves that they have done badly so that if it turns out that this is the truth, they will be less disappointed. Negative visualization, here and elsewhere, prepares us mentally and emotionally to deal with unpleasant experiences when they arrive–as they inevitably will. Contemplating the loss of something helps us to appreciate it more fully. We are all familiar with the way we have a tendency to take things for granted. When we first buy a new house, car, guitar, smart phone, shirt, or whatever, we think it’s wonderful. But within a fairly short time the novelty wears off and we no longer find it exciting, or even interesting. Psychologists call this “hedonic adaptation.” But imagining the loss of the thing in question is a way of refreshing our appreciation of it. It’s a technique that help us to follow Epictetus’ advice and learn to want what we already have. We live in a culture that puts tremendous value of worldly success. So people strive to get into elite universities, to make lost of money, to create a successful business, to become famous, to achieve high status in their work, to win prizes, and so on. The problem with all these goals, though, is that whether or not one succeeds depends in large part on factors outside one’s control. Suppose your goal is to win an Olympic medal. You can commit yourself to this goal entirely, and if you have enough natural ability you may make yourself one of the best athletes in the world. But whether or not you win a medal depends on many things, including who you are competing with. If you happen to be competing against athletes who have certain natural advantages over you–e.g. physiques and physiologies better suited to your sport–then a medal may simply be beyond you. The same goes for other goals, too. If you want to become famous as a musician, it isn’t enough just to make great music. Your music has to reach the ears of millions of people; and they have to like it. These are not matters you can easily control. For this reason the Stoics advise us to carefully distinguish between things that lie within our control and things that lie beyond our control. Their view is that we should focus entirely on the former. Thus, we should concern ourselves with what we choose to strive for, with being the kind of person we want to be, and with living according to sound values. These are all goals that depend entirely on us, not on how the world is or how it treats us. Thus, if I’m a musician, my goal shouldn’t be to have a number one hit, or to sell a million records, to play at Carnegie Hall or to perform at the Super Bowl. Instead, my goal should just be to make the best music I can within my chosen genre. Of course, if I try to do this I will increase my chances of public recognition and worldly success. But if these don’t come my way, I won’t have failed, and I shouldn’t feel especially disappointed. For I will still have achieved the goal I set myself. The Stoics argue that sometimes we should deliberately deprive ourselves of certain pleasures. For example, if we usually have dessert after a meal, we might forego this once every few days; we might even once in a while substitute bread, cheese and water for our normal, more interesting dinners. The Stoics even advocate subjecting oneself to voluntary discomfort. One might, for instance, not eat for a day, underdress during cold weather, try sleeping on the floor, or take the occasional cold shower. What is the point of this kind of self-denial? Why do such things? 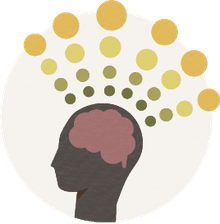 The reasons are actually similar to the reasons for practicing negative visualization. Self-denial toughens us up, so that if we have to deal with involuntary hardship or discomfort we will be able to do so. There is really a very familiar idea. It is why the army makes boot camp so hard. The thinking is that if soldiers become accustomed to hardship on a regular basis, they will cope better with it when being able to do so really matters. And this sort of thinking by military leaders goes back at least to ancient Sparta. Indeed, the militaristic Spartans were so convinced that depriving men of luxuries made them better soldiers that this sort of denial came to be integral to their whole way of life. Even today, the word “Spartan” means lacking luxuries. Self-denial helps us to appreciate the pleasures, comforts and conveniences that we enjoy all the time and are in danger of taking for granted. Most of will probably agree with this–in theory! But the problem with putting the theory into practice, of course, is that the experience of voluntary discomfort is––uncomfortable. Still, perhaps some awareness of the value of self-denial is part of the reason why people choose to go camping, or backpacking. But are the Stoics right? The arguments for practicing these Stoic strategies sound very plausible. But should they be believed? Will negative visualization, internalizing goals, and practicing self-denial really help us to be happier? It seems that for the poet negative visualization is not a strategy for happiness; on the contrary, it causes anxiety and leads him to be even more attached to that which he will one day lose. The internalization of goals seems very reasonable on the face of it: do your best, and accept the fact that objective success depends on factors you can’t control. Yet surely, the prospect of objective success–an Olympic medal; making money; having a hit record; winning a prestigious prize–can be tremendously motivating. Perhaps there are some people who care nothing for such external markers of success; but most of us do. And it’s surely true that many wonderful human achievements have been fueled, at least in part, by the desire for them. Self-denial is not especially appealing to most people. Yet there is som reason to suppose that it really does do us the sort of good that the Stoics claimed for it. A well-known experiment done by Stanford psychologists in the 1970s involved having young children see how long they could hold off eating a marshmallow for the sake of getting an additional reward (such as a cookie in addition to the marshmallow). The surprising upshot of the research was that those individuals who were best able to delay gratification did better in later life on a number of measures such as educational achievement and general health. This seems to bear out will power is like a muscle, and that exercising the muscle through self-denial builds self-control, a key ingredient of a happy life.